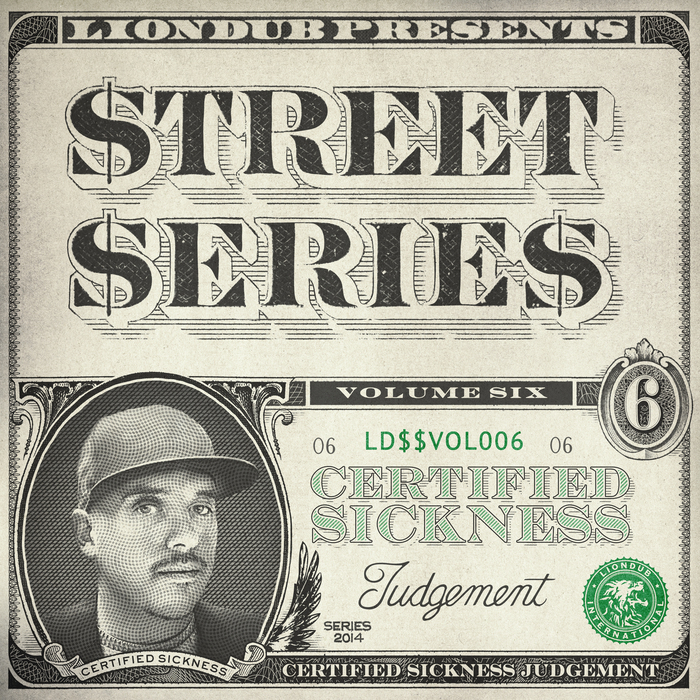 Liondub International present their sixth "Street Series" release from the series, this time running a debut from new UK producer Certified Sickness. 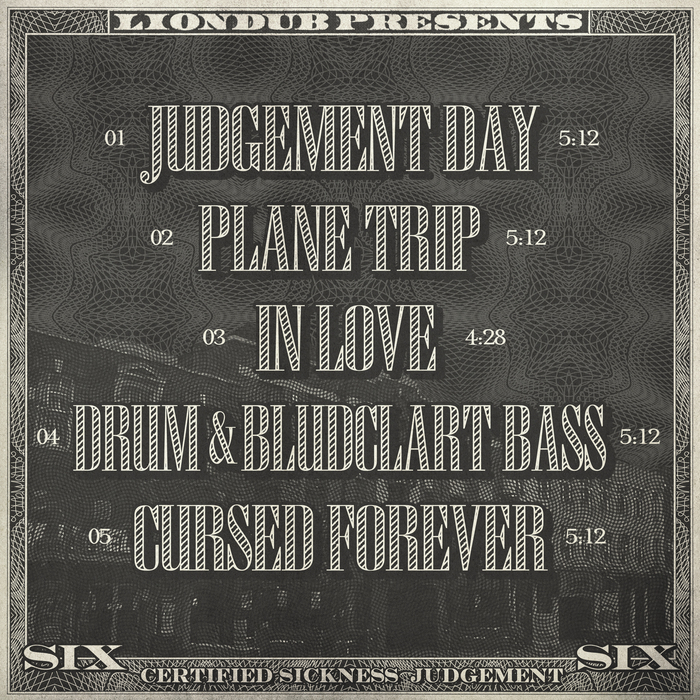 "Judgement Day" pushes on with murky intros and breakdowns powered by abrasive sampled breaks and dive-bombing basslines. "Plane Trip" sees him take on a more experimental side as he flips airline samples into the beats - think more Final Destination than two weeks in Marbella. "In Love" contrasts the seriously catchy title vocal hook against slabs of distorted bass and a rolling backbone. 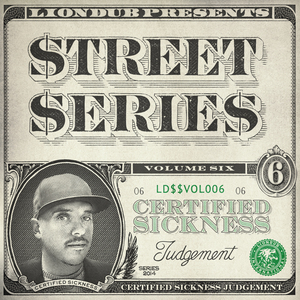 Stormin makes an appearance on the microphone for the EP's most brutal moment; "Drum & Bludclart Bass" explodes over fierce bass stabs, slow, deliberate breaks, and the barest suggestion of a reggae feeling. Finally, Certified Sickness pushes his sample-heavy style to breaking point in "Cursed Forever", where horror movie samples meet jump-up mayhem. One for the hard crew.